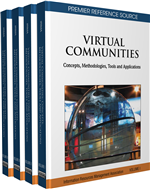 This chapter uses activity theory as a lens to understand the implications of both virtual collaboration and cross-cultural contact for communication in global virtual teams. Rather than adopting a set of heuristics or guidelines that may readily become dated as cultures and technologies shift in the flat world, we argue that both those who study and those who engage in global virtual teams should critically analyze the entire activity system. We then provide meta-cognitive approaches to both distributed work and cross-cultural contact that team managers and team members can use to establish flexible communication practices appropriate to the activity system at hand, and that researchers can use to account for the range of factors that impact team performance.